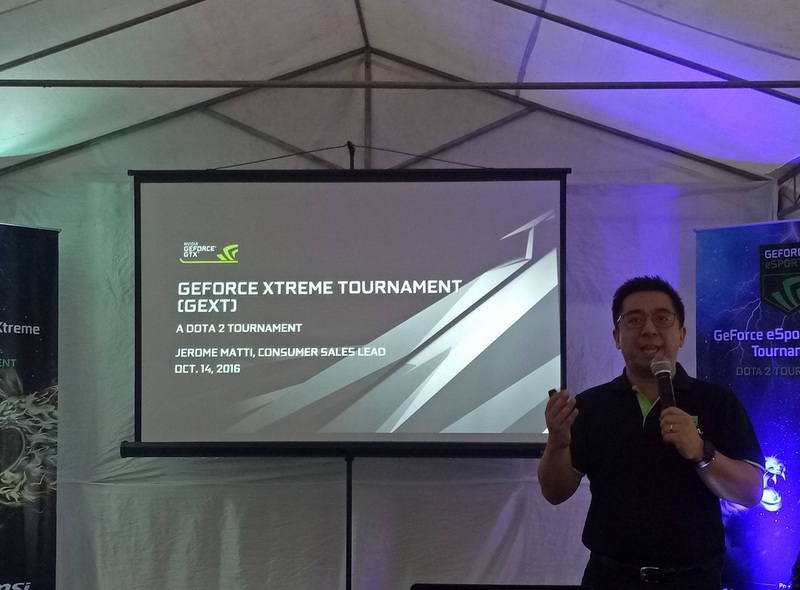 NVIDIA, the world leader in graphics processing units, has unveiled its first ever GeForce eSports Xtreme Tournament (GEXT) in the Philippines, wherein more than 100 gamers are expected to be battling for supremacy on Defense of the Ancients 2 (DOTA 2) and get the biggest chunk of Php225,000 prize pool. The GEXT DOTA 2 tournament aims to grow the gaming community in the Philippines as well as the awareness of Filipinos about the eSport in general. This tournament is open to all casual players, no Class S or professional gamers allowed. 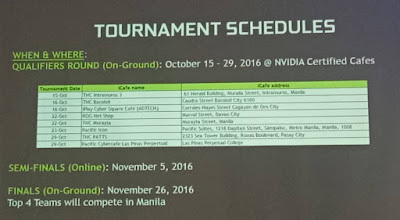 The registration is free and will be coursed through participating NVIDIA Certified Internet Cafe. There will be a maximum of 32 teams per qualifying leg on a first come first serve basis. 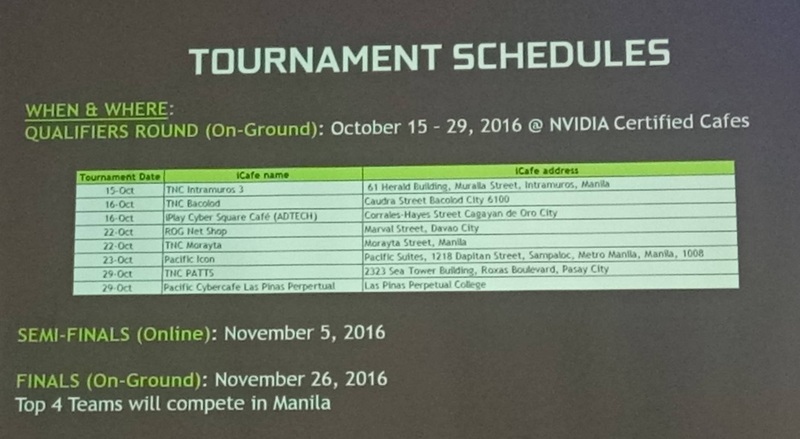 The below image shows the tournament schedules as well as the iCafe where it will be held together with their respective addresses.